We overlook both the words “first” and “draft” and expect our preliminary take on our book to somehow appear on the page polished and perfect. It’s not going to happen, friends. Every writer – fiction or non-fiction, pre-published or published, award-winning or not – produces a needs-to-be-rewritten first draft. And then determine to remember his wise words the next time you’re writing a first draft. 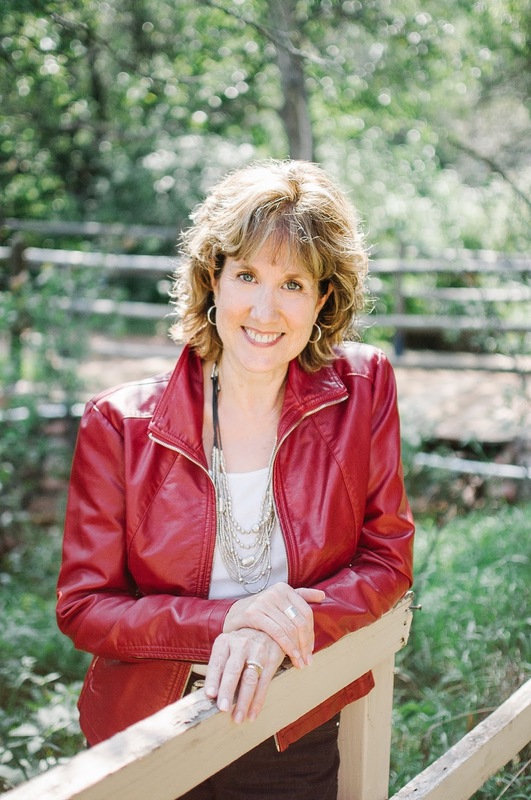 As we sit down to write our first draft of our romance or steampunk or women’s fiction novel, we need to give ourselves the freedom to tell the story. This is also true if we’re writing a non-fiction book or a Bible study. We need to tell our internal editors to “shush!” and allow ourselves to rediscover this book we think we know so well. 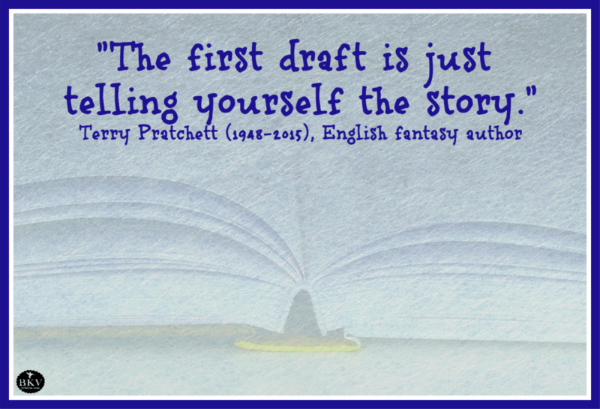 That’s what a first draft should be: an act of discovery. Novelists, we may think we know what our stories are about when we’re finally ready to start writing. After all, we’ve taken the time to develop our characters. We’ve written a synopsis – maybe even a short synopsis and a long synopsis. We may have roughed out our chapters. But let’s give our stories room to breathe as we write our first drafts. Let’s allow our characters to surprise us. Let’s permit our stories to change if they need to. Sometimes those unexpected changes are the best things that happen to our plotted-out beginnings or middles or endings. Oftentimes, there’s a story woven through a nonfiction book. As it’s been said: Remember why you started. Let that truth – not perfection – fuel your first draft. Story is a powerful thing. The next time you’re stressing about your first draft, stop for a minute. Remember this is about telling yourself the story – not perfecting it. And then breathe and keep on writing. Great advice, Beth. Well explained. I would add that it holds true in poetry and song writing - especially for odes and ballads. The most common edits for me are changing the order of lines and replacing a word or phrase with one more concrete, poetic, or interesting. None of these can take place until a first draft is before me. Thanks. Jay: Thank you for expanding first drafts to poetry and song writing. There are first drafts in so many aspects of creativity, yes? It's all about getting those first words, phrases, lines down on the page and letting them be less-than-perfect. I have a crit partner who is simply put an amazing writer. Beauty flows from her. Even her first drafts are wonderful. Mine aren't. Mine take a lot of editing. Fortunately, that's my favorite part. I hate the first draft. It's pure torture. Thanks for the reminder to let it be ugly. Ane: I would bet your crit partner still edits and polishes her first drafts, yes? You may like hers more than yours because they are just that: hers, not yours. Different perspective. Less emotion attached to hers than to yours. Thank you for this gift of encouragement to write-away instead of wearing out the breaks to pick at perfection before the story comes to life, Beth. Truthfully, I need to remind myself of this, too, on occasion. We all can weigh our first draft down with too many expectations. Such great advice. The only way for me to find the story - is to write it. And that is the first draft. Thank you for this wonderful blog. It's true ...the first draft is about finding the story. And we have to slog through that difficult first draft to do so. What a comfort to read these words! I am working on a "first draft" and was discouraged until I read this message. Thank you. It's strange how you work out a scene in your head and then when you come to write it, your characters take over.